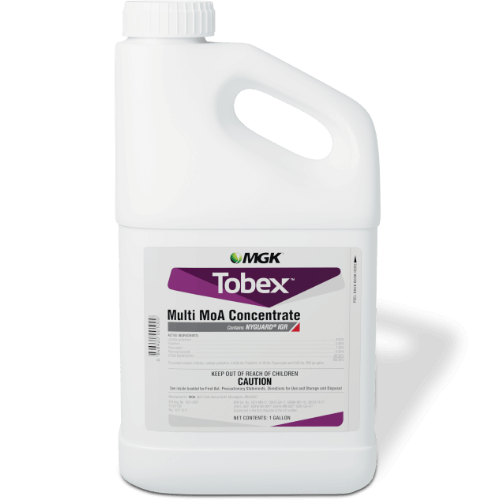 Tobex combines the power of a knockdown agent, a long-lasting insecticide, a synergist and an IGR into a single product with controlled-release technology. Eliminating the need to mix multiple products saves you time and lets you move on to your next task. What product sizes are available for Tobex? What is the Tobex application rate for darkling beetle control? 2-4 oz of Tobex per 1,000 sq. ft.
What product(s) can be used in rotation with Tobex for darkling beetle control?